The last 12 months has been one of the best periods in Adacel Technologies’ (ASX: ADA) history with important contract awards, a profit upgrade in July and the delivery of an above guidance fiscal 2016 result in August. 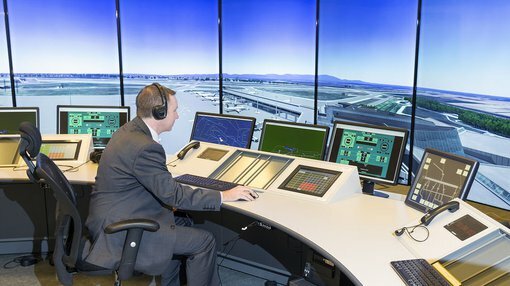 The leading global developer and provider of operational air traffic management systems, speech recognition applications and advanced air traffic control simulation and training solutions has strong relationships with leading aviation groups throughout the world. ADA’s longest active contract is with NavPortugal and it spans 18 years. The group’s largest customer is Lockheed Martin and this accounted for revenues of US$11.1 million in fiscal 2016. The average term of current contracts is 8.3 years, demonstrating the company’s ability to retain business and deliver earnings predictability. Of course anything can happen in this market and predictability can change, so seek professional financial advice if considering this stock for your portfolio. ADA generated a net profit of $9.2 million in fiscal 2016, representing year-on-year growth of 134% and exceeding Bell Potter’s expectations by 8%. Importantly, net cash more than doubled to $15.7 million in fiscal 2016 leaving the company well-placed to tender for new business and maintain its leading position in the development of innovative technologies. Bell Potter only initiated coverage of ADA six months ago with a price target of $2.50, but this gradually increased leading up to the group’s full-year result. After the company provided an update yesterday the broker maintained its buy recommendation and 12 month price target of $3.75. While Bell Potter analyst, Chris Savage, noted that the company didn’t provide quantitative guidance yesterday he is of the view that general outlook statements which pointed to the depth and diversity of its order book and optimism surrounding earnings growth in 2017 were positive signs. Savage is forecasting revenues to increase by circa 10% in fiscal 2017, and he is projecting earnings per share growth of 11% and 17% in fiscal years 2017 and 2018 respectively. A breakup of the company’s revenues across its various divisions in fiscal 2016 is outlined below. As can be seen from the following table, ADA has managed to substantially grow both the systems and services divisions of its business over the last three years. With regard to fiscal 2016, Savage highlighted the strong performance from the services segment which grew year-on-year revenues by 30%. He noted that this was mainly attributable to a new Controller Training Contract (CTC) with the Federal Aviation Authority (FAA) and also growth in existing services contracts with customers including the FAA and the US Air Force. While the abundance of good news flow saw ADA’s shares surge from 95 cents 12 months ago to hit a high of $3.55 following the profit upgrade in July, they have tapered off recently, arguably due to broader market volatility. This retracement could be seen as a buying opportunity given that Bell Potter’s price target of $3.75 implies upside of nearly 35% to Tuesday’s closing price of $2.79. However, previous trading trends are not indicative of future share price performance and they should not be used as a basis for investment. It should also be noted that broker projections are estimates that may or may not be met and independent advice should be sought before investing in ADA.